The creation of an ordered and happy household, the balance between work and home life, the effort to protect the domestic sphere from a harsh and amoral world, the division of child care between fathers and mothers, the question of whether a woman neglects her responsibilities to her children if she leaves part of their rearing to another (especially to someone from a different culture or class)—these issues were largely delineated by the middle class of the nineteenth century, especially in Britain, the cradle of modern bourgeois life, and at that time the home of by far the largest suburban and urban middle class. 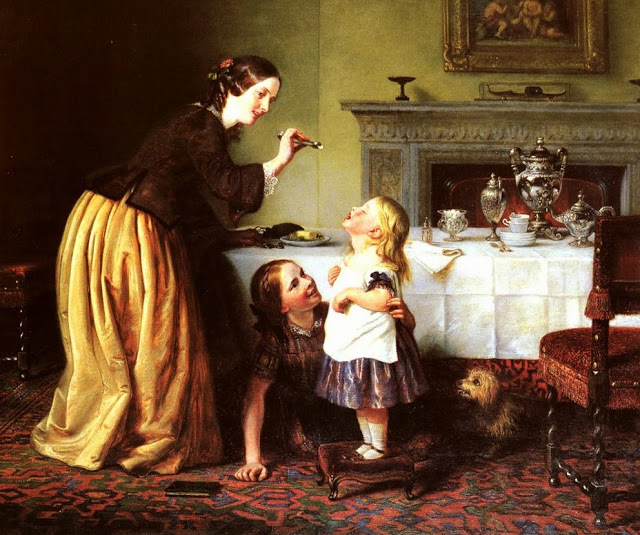 Since the 1970s historians have been intensely debating and minutely examining every conceivable aspect of middle-class Victorian domestic life, from child care to shopping to mealtimes. The results have often been tendentious and (reflecting the jargon-infected world of trendy contemporary scholarship in the humanities in general) just plain silly. But they have also been spectacularly rich: in many ways we have a more detailed and sophisticated understanding of the mental and spiritual world and daily habits of upper-middle-class women in London in the 1880s than we do of upper-middle-class women in, say, Palo Alto today. 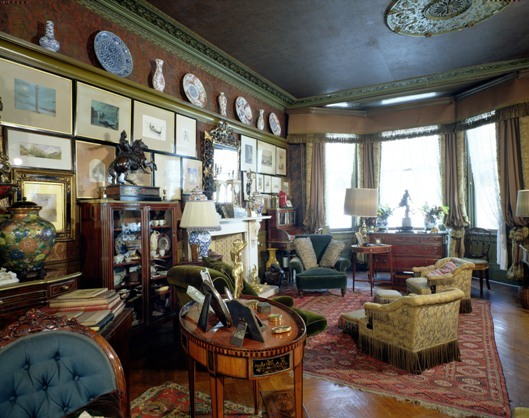 In Inside the Victorian Home (Norton), Judith Flanders, who writes smoothly and cleverly, has surveyed this scholarship—along with novels, advice books, and some published letters and diaries of the period—to render a detailed and engaging portrait of middle- and upper-middle-class domesticity in London from 1850 to 1890. The book, which was successful commercially and even more so critically in Britain, where it was first published last year, takes an inventive and compellingly voyeuristic approach by exploring a Victorian house room by room: Flanders shows us how each room was furnished, what purposes it served, how it was laid out, how it smelled, who occupied it at different points in the day, and how it was cleaned. In so doing she illuminates the trials and terrors of childbirth; the Sisyphean struggle against dirt (owing to London soot, mantelpieces had to be cleaned twice daily); the duties of servants, who were fixtures of middle-class life (in 1851 one of every three women in London aged fifteen to twenty-four was in service); what people ate and how food was stored, prepared, and discarded; the intricacies of social rounds and entertaining; how children played; how people died and were mourned. Although vivid, Flanders’s rendition is somewhat distorted, largely because of the sources she’s used. She has relied heavily on the prescriptive literature of the time (such as Mrs Beeton’s Book of Household Management, a volume scholars always cite when they want to demonstrate the extent to which rigid and status-conscious codes supposedly governed Victorian women’s lives), but this would be akin to future historians’ using the idealized world depicted in Real Simple to elucidate how people really live in Montclair, New Jersey. Yes, Flanders does often quote from those nineteenth-century letters and diaries, but she’s too often quoting a scholar who’s quoting the original source, which means she’s using material that’s previously been selected to bolster a particular interpretation. 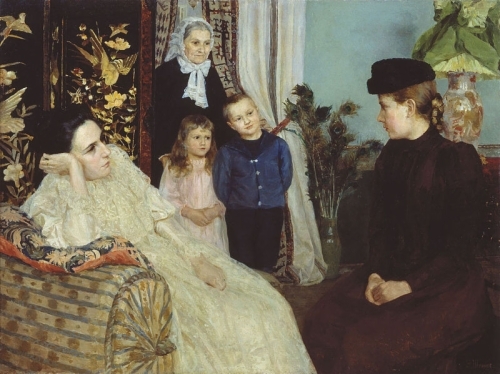 In her introduction she implicitly acknowledges that her interpretation follows what has been the prevailing scholarly view for decades: that a central, even defining aspect of middle-class life was its division into separate spheres—a public one, inhabited by men, of the marketplace and politics; and a private one, of home and family, which was a refuge from the harsh logic of capitalism and the sordid exigencies of commercial life. 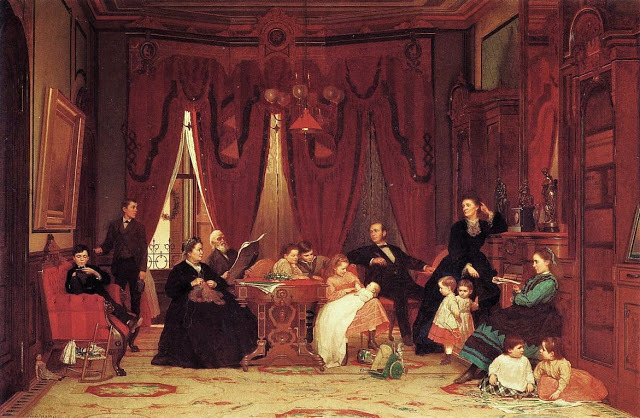 Women, so the thinking goes, were relegated to this inward-turning, sedate, often claustrophobic domestic life (and indeed, the layout and furnishing of the Victorian house reflected this new and inflexible separation of the public sphere from the domestic). Flanders has a huge library of modern historical literature to draw from; an unbelievable amount of ink has been spilled disputing and refining this view of the relationship among domesticity, women’s roles, and the defining of a middle-class identity—an interpretation with obvious resonance today. Feminist scholars wrote nearly all the books, many of which, especially those written in the early 1970s, failed to go much beyond bewailing the subordination and victimization of nineteenth-century women. This isn’t to say, though, that Gordon and Nair aren’t bucking a trend in popular and scholarly opinion that uses a far less nuanced approach than does Family Fortunes. 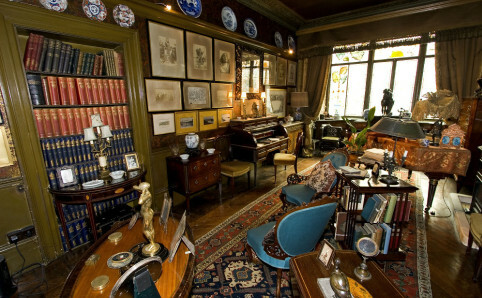 Take the arguments in Inside the Victorian Home. To Flanders, the middle-class woman was a “caged bird” living a passive and narrowly circumscribed domestic existence; she was regarded by men as a “child-woman” to be kept in ignorance. So complete is Flanders’s conception of the separation of men’s and women’s worlds that she writes in her introduction that the book will ignore “the role of men” in the domestic realm. 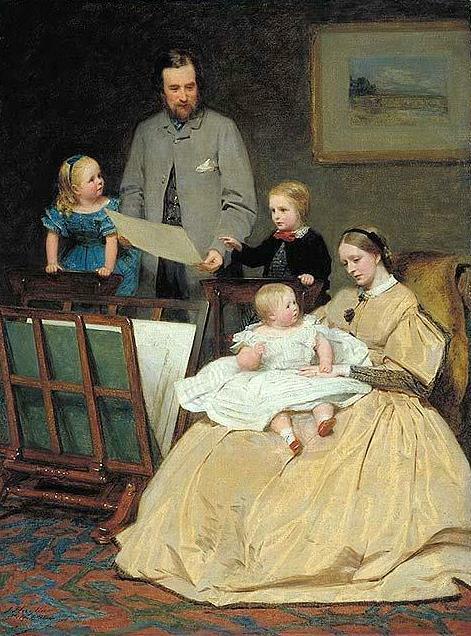 In contrast, by meticulously uncovering the daily life of their subjects, Gordon and Nair show that work and home and the public and private spheres were (especially within the professional class) in many ways far more intertwined than they are today; that many men and women prized female intellectual attainment; that the dominant religious ethos impelled some women toward an exclusively nurturing, domestic role, but others toward independence and a public role; that middle-class mothers’ conception of their function—and, concomitantly, the amount of time they devoted to child-rearing—varied enormously; that men were intensely involved in raising and caring for their children, were “indulgent fathers,” and were “home-loving, gentle and whimsical”; and that generally the middle class was far less somber (its members partied hard and regularly kept astonishingly late hours), and family and social relations far warmer and more informal, than the stereotype allows (for instance, although Flanders devotes pages to the elaborate etiquette of “calling” as described in novels and prescribed in advice books, Gordon and Nair’s scrutiny of how lives were actually led reveals that everyday, drop-in visits were much more common). Indeed, these feminist historians have written a book that could justifiably be characterized as a paean to the women—and men—of the bourgeoisie. But although they subtly and sympathetically analyze the lives of people too often dismissed by other scholars, and although they capture the rhythms of those people’s daily routines with far more precision than Flanders does, they clot their book with infelicitous and fashionable academese (“the occupation of space may have been diachronically gendered…”). Gordon and Nair absorbed fertile material about captivating people, and in communicating their research they could have looked to inspiring models: in the 1950s and 1960s a number of extraordinarily elegant works of scholarship—Walter Houghton’s The Victorian Frame of Mind, W. L. Burn’s The Age of Equipoise, and Asa Briggs’s Victorian Cities, to name a few—focused on the Victorians. 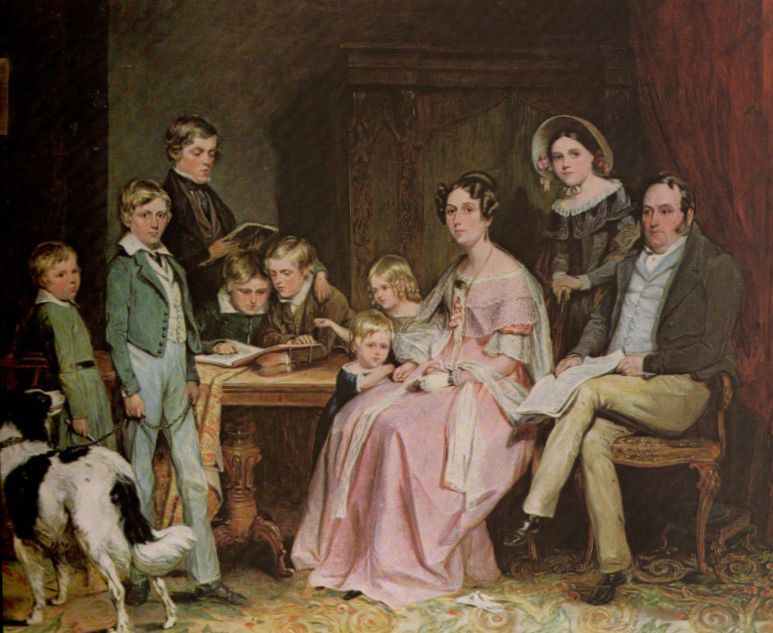 The strengths of Family Fortunes and Public Lives—and the weaknesses of Inside the Victorian Home—show that only those who’ve spent years mining the archives can fully convey the complexities of past lives. But readers will perforce turn to the simplicities of books like Flanders’s until the academy learns to write again. The Guardians, by Geoffrey Kabaservice (Henry Holt). True, he was Yale’s president during the most tumultuous years of its history (1963 to 1977), the only university president to appear on the covers of both Time and Newsweek, and he probably remains George W. Bush’s least favorite university administrator, but could we possibly need a 550-page biography of Kingman Brewster? Well, yes, because this deftly woven portrait of Brewster and his close friends—McGeorge Bundy, Elliot Richardson, John Lindsay, Cyrus Vance, and Paul Moore—is among the most revealing books ever written about the liberal establishment. The author is plainly nostalgic for the leadership and style of these fellows, who he believes were justified in seeing themselves, by virtue of their breeding and abilities, as the country’s guardians. He thus gushes at times (his assessment of JFK’s Administration is positively Sorensenian), and to be sure, he usually provides the most generous interpretation possible of his subjects’ actions, including Brewster’s and Bundy’s flirtations with radical chic (in his speech about the murder trial of the racist and thuggish Black Panther leader Bobby Seale, Brewster notoriously declared, “I am appalled and ashamed that things should have come to such a pass in this country that I am skeptical of the ability of black revolutionaries to achieve a fair trial anywhere in the United States”; and Bundy, as president of the Ford Foundation, granted money to CORE after that organization had purged its white members and after one of its leaders had made racist threats against white teachers). 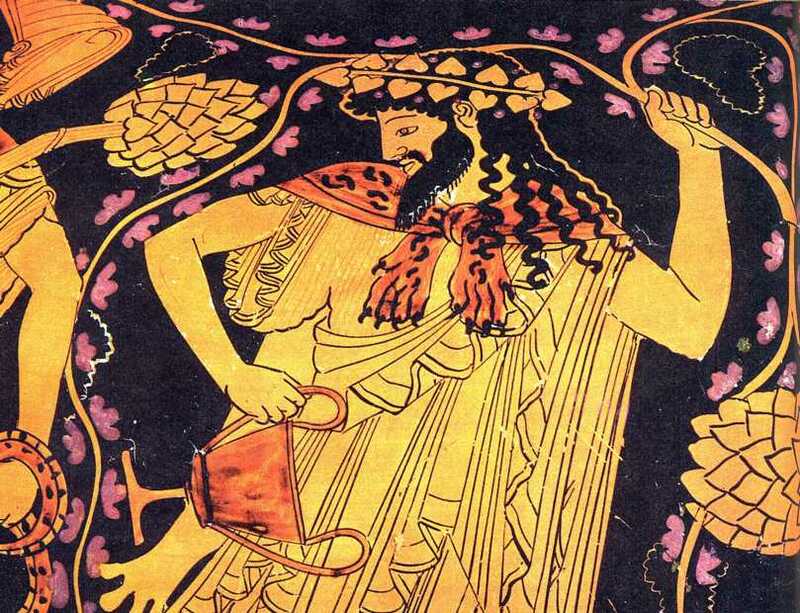 But Kabaservice is so thorough a researcher and so comprehensive a storyteller that his chronicle leaves ample room for other, less charitable interpretations. After all, in addition to such worthy accomplishments as making Yale coed and doggedly attending Bilderberg, Aspen Institute, and Law of the Sea conferences, one or more of these men were partly or largely responsible for such disasters as the Bay of Pigs, the Vietnam War, the bankrupting of New York City, and the blight of “urban renewal.” (New Haven, the cynosure of that effort, remains abjectly unrenewed nearly four decades later.) Why did these men, who were convinced of their own brilliance, so often make such a hash of things? It turns out that although they were all quick, clever, and poised, their intellectual attainments were negligible. Brewster and Richardson admitted that they didn’t like to read—they preferred to get their ideas from schmoozing. Richardson—about whose book the most Kabaservice can muster is that it contained “high-minded ideas about government and citizenship expressed in elaborate prose”—may have held more Cabinet posts than any other man in history, but he failed to make a lasting mark in any of them (Bundy certainly left his mark as National Security Adviser, but probably he wouldn’t be pleased to be remembered as the pseudo-tough guy advocate of the “graduated escalation” of the Vietnam War).